Great 1-story brick home (3 sides masonry) with a nice open backyard space! Conveniently located in south Leander between 183 and 183A. This home is move-in ready as-is and waiting for you to add your own personal touches. Great floor plan with a good-sized family room that is open to the kitchen. The kitchen is large enough to add a dining table and a buffet — or perhaps a center island? There is plenty of space in the master and you’re sure to love the double vanities and walk-in closet! 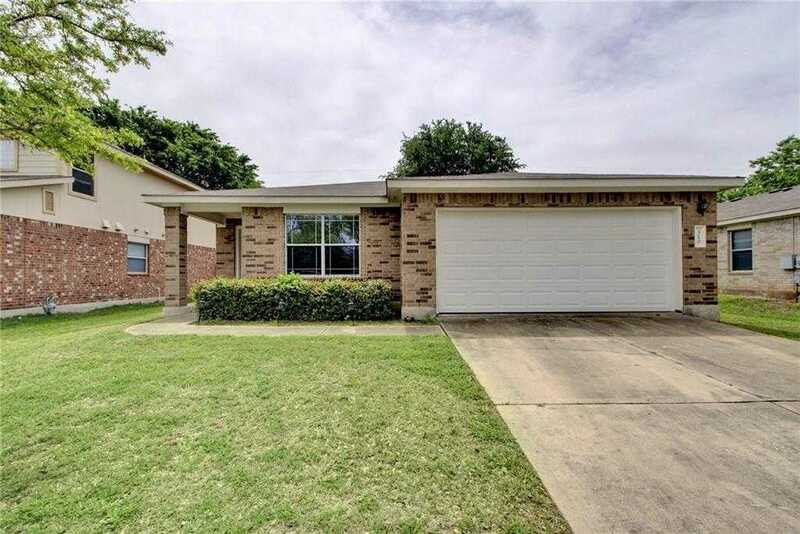 I would like to schedule a private showing for this property: MLS# 1989327 – $225,000 – 310 Washington Square Dr, Leander, TX 78641.